Alexander & Hornung branding, packaging, and identity. 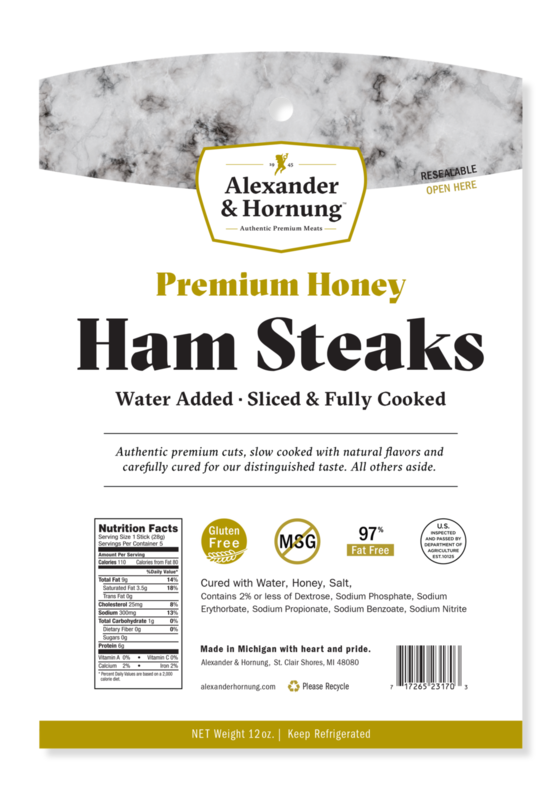 Alexander & Hornung has been a manufacturer of meat products for over 70 years. Swiss Croon was tasked with a complete re-brand of the company. We created all original concepts, designs and executions. In-depth research and marketing strategy was used as a foundation for all creative. The result has been an overwhelming success. Alexander & Hornung has been selling meat products for over 70 years. Swiss Croon was tasked with a complete re-brand of the company. We created all original concepts, designs and executions. In-depth research and marketing strategy was used as a foundation for all creative. The result has been an overwhelming success.